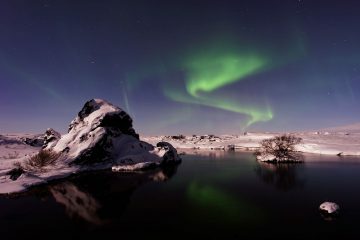 Iceland, a little, volcanic paradise in the North Atlantic is a place like no other. Tales of fairies and imps told over a campfire as the Northern Lights dance overhead bring a magic to the frigid tundra of the island. Enjoy the company of friendly locals in Reykjavik, sampling local foods and beer, or zen out in the volcanic hot springs, forgetting your only a few degrees south of the Arctic circle. This unique, ecological haven is a must visit for any nature lovers or those looking for an escape from the mania of mainland Europe. Electricity Socket: 230V AC electricity. Power outlets are usually two-prong round sockets. To avoid the hassle of having to buy new adaptors for everywhere you go, we recommend picking up a Universal Travel Adaptor before you leave. Visa: Iceland is a member of the Schengen Agreement but not the European Union. They offer Visa-free to travel to all EU countries including those, not in the Schengen, and Schengen approved countries such as most of the Americas, Australia, and NZ for 90 days. Nationals from other countries such as Russia Asian Citizens and South Africa need to apply for a Schengen Visa before traveling to Iceland. Safety: Iceland is widely considered one of the safest countries in the world. Crime rates and the terror threat are incredibly low. Iceland is an active geothermal island with glaciers, volcanoes and rough seas so care must be taken and professional advice sought when exploring is rugged terrain but if the natural environment is respected, you are in safe hands. If you are planning on driving a car in Iceland as well as do some outdoor activities, we recommend you get travel insurance. Our top recommendation is World Nomads due to their extensive list of activities covered. Language: Icelandic is the official language and can be very difficult. Fortunately, as with most Scandinavian countries, English is spoken widely and often very well. Be prepared with a few Icelandic phrases to win the locals over but they will be more than happy to help if they can. Low Season (Oct-Apr) – heavy snow means mountain roads will be closed as well as some minor roads. Although winter activities are still on offer, there are only brief spurts of daylight with long nights. Mid Seasons (May & Sep) – occasional snow means that mountain roads can be closed, but this is the optimal time to visit to avoid tourist crowds. High Season (Jun-Aug) – ideal weather and endless daylight comes with tourist crowds, higher prices and the need for pre-bookings. For Iceland, you will need lots of layers because it’s seriously cold! Seriously, however cold you think it is, it’s colder. Make sure to bring lots of thin items that you can layer, preferably thermals that are breathable, as you can add or remove layers to regulate your temperature as needed. For a complete guide on what to pack for Europe, check out our full article. 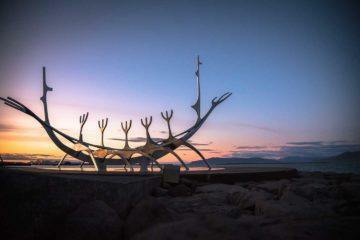 Although a relatively small city, Reykjavik compensates for its size with its vibrant and trendy atmosphere. Full of hip cafes, bustling pubs and high-energy clubs, you can be sure that you’ll find plenty of things to do in Reykjavik during your time in Iceland. 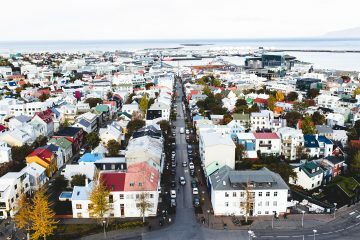 As well as great vibes during the day and an epic party life at night, Reykjavik also boasts a charming mixture of old town architecture with a modern and innovative twist. Iceland is a great lover of design and technology, so although you’re surrounded by stunning natural beauty, you’re never out of touch in this incredible city. 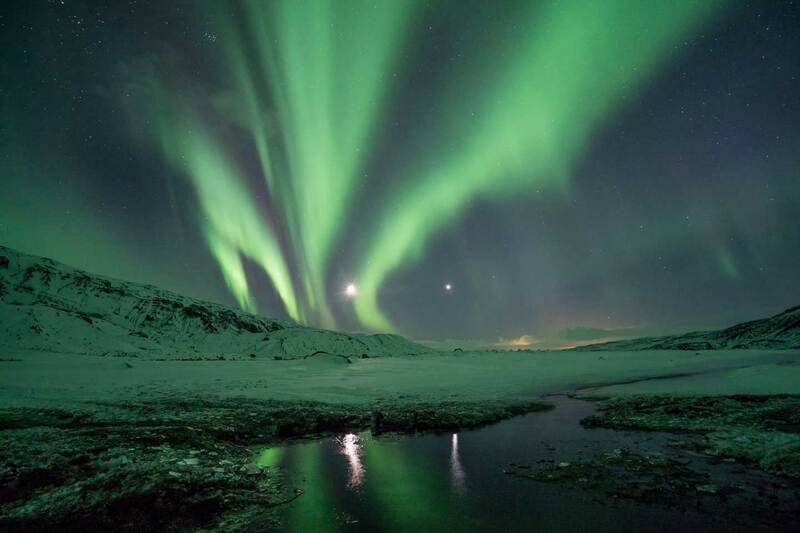 A popular tourist hiking trail in Iceland, the Golden Circle Route covers around 300km in the highlands, stretching from Reykjavik to the Southern uplands and back. A perfect activity for hiking enthusiasts, this trail also covers the area where most major attractions and activities are, such as the Kerið volcano crater, Hveragerði greenhouse village, and the Hellisheiði geothermal power plant. One of the most incredible experiences on this route has to be standing at the rift zone on the edge of the North American Plate and looking out towards the Eurasian Plate rift in the distance, and it is definitely something that you have to experience for yourself! 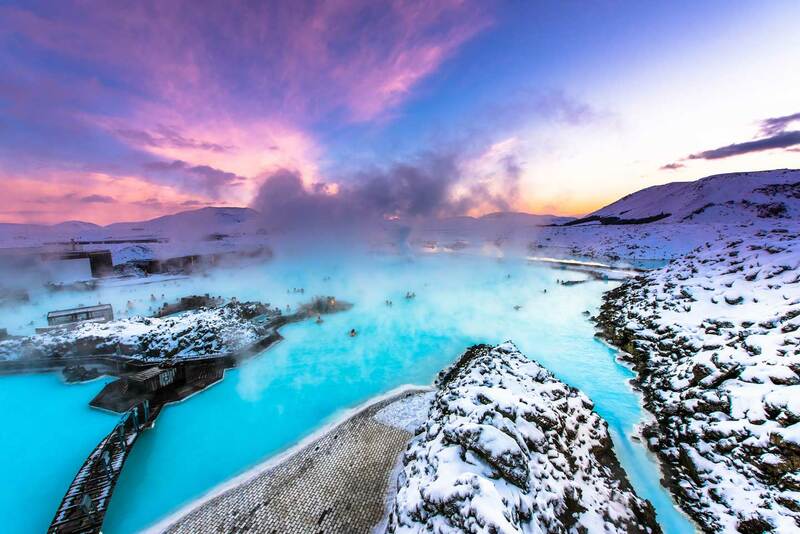 The Blue Lagoon geothermal spa is one of the most visited attractions in Iceland and it’s no surprise why. This huge, milky-blue spa is a sight to behold, not to mention incredibly relaxing even with the masses of people around you. With nothing comparing to this experience anywhere else in the world, the Blue Lagoon should be at the top of your list when heading to Iceland. Located in a lava field in Grindavík, head to Southwestern point and bathe until your heart’s content! Swimming in the Blue Lagoon is definitely part of our Iceland bucket list! The waterfalls in Iceland are a must see wherever you are in the country as there is nothing quite like seeing tons of water cascading down mountains, surrounded by the majestic beauty that only Iceland can provide. Although all the waterfalls are epic in their own right, there are a few key beauties that you should venture to. If you’re looking for the biggest and baddest, Gullfoss can be found in the Golden Circle and is a force of nature to behold! For the most powerful waterfall in Europe, feast your eyes on Dettifoss. 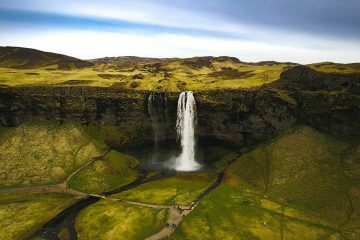 If you’re looking for a unique sight, Skogafoss is created directly from two glaciers, Eyjafjallajokull and Myrdalsjokull – you’re welcome! While in Iceland, why not see the amazing sight of their sea creatures launching themselves in and out of the freezing waters? Although an expensive activity, this is one of the best places to go whale watching, with over 20 different species just waiting to be spotted in the depths. With dolphins and harbor porpoises being frequently seen, nothing compares to the great whales that you can glimpse around the island! 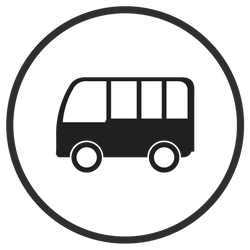 Most tours leave from Reykjavik in the South or Akureyri in the North so it’s best to book on beforehand. For a journey to another world (or at least it feels like it), pay a visit to Mount Maelifell, a cone volcano formed by eruptions underneath the Myrdalsjökull Glacier. Standing at 200 meters above sea level, you can enjoy this unique sight covered in green moss during the warm season. It is a truly spectacular sight, surrounded by other impressive volcanoes and natural hot springs dotted with beautiful Icelandic nature. 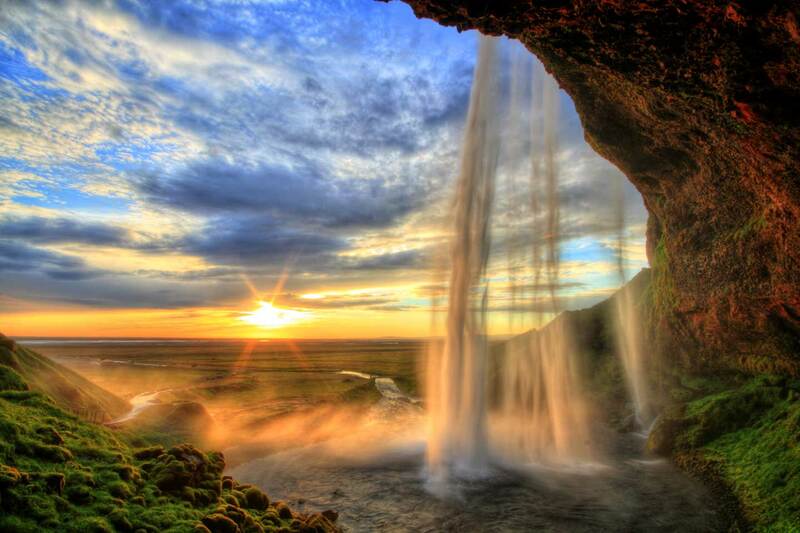 You can’t leave Iceland without seeing some of its most popular natural landscapes. One of the most dramatic has to be Vatnajökull National Park, where all you can see for miles around you is towering glaciers covered in ice and snow. 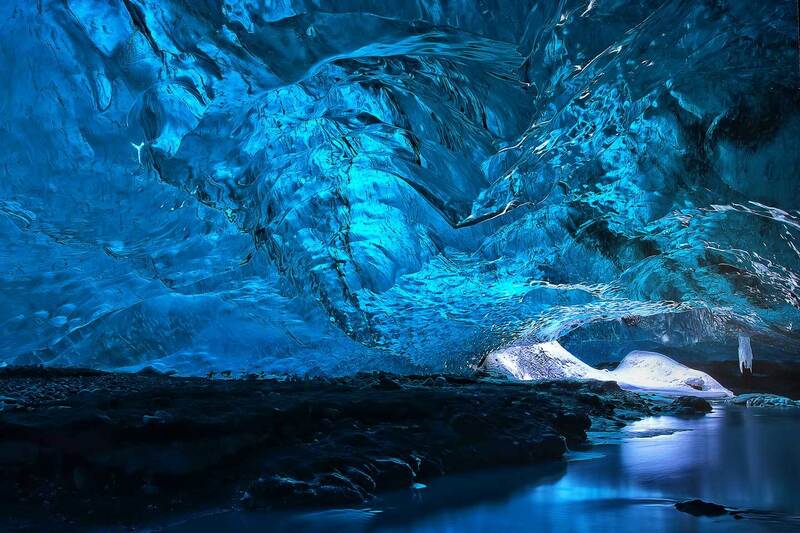 Aptly named the land of ice, this majestic scene is full of impressive ice caves just waiting to be discovered. One of our favorites? The Skaftafell Ice Cave. Go and you’ll see why! Similar to Greek yogurt but technically a cheese, this high protein and low-fat delicacy is often enjoyed with milk and some fruit. You will find this anywhere in Iceland and sometimes in smoothie form. Either way, it’s delicious! Obviously, you can’t avoid eating fish in a country that is surrounded by water! Iceland has a great variety of fish available, all cooked in as many different ways as you can think of. The best part? They are all normally caught that morning! 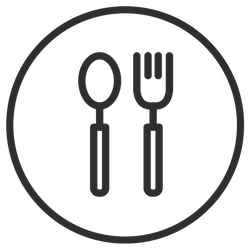 An Icelandic delicacy, lamb soup is a warm broth-based dish, packed full of flavor with potatoes and root vegetables. As well as it being the perfect meal for the chilly weather, it is also just downright tasty! 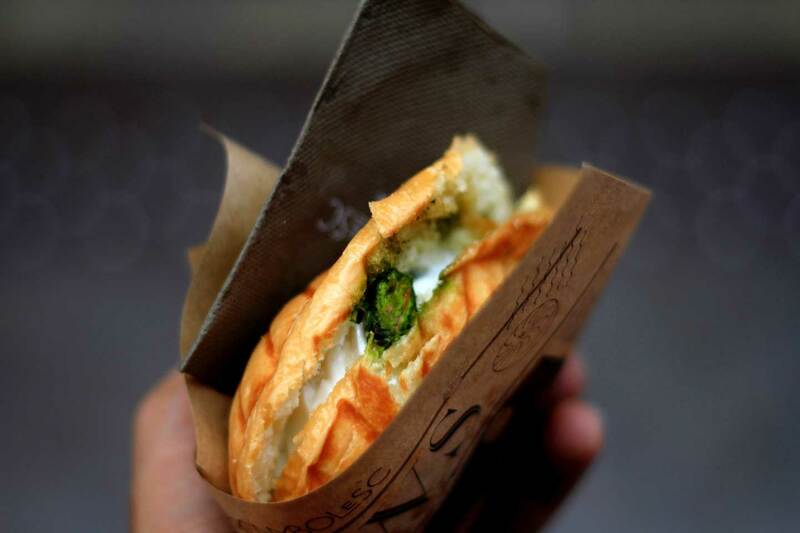 Surprisingly, Icelandic hot dogs are a revered tradition and are a favorite among the locals. Made with both lamb and pork to create rich and flavorful dogs, pair yours with crunchy deep-fried onions, sweet brown mustard or ketchup and tuck in! Just expect long lines as it’s a popular choice! 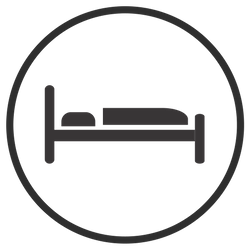 The accommodations in Iceland can get expensive, so make sure to book early and research the best option for you. From camping in their national parks, staying in a hostel, or treating yourself to a fancy hotel, there is definitely no shortage of places to stay in Iceland. If you book in advance, your most affordable option may even be to rent a room or apartment on Airbnb! As Iceland is becoming insanely popular, we recommend checking sites like Booking.com, Agoda, or Hostel World. To help you choose out the best places to stay in Iceland, here are our personal suggestions on where to stay.